PHILIPPINES - Probably few people have more right to complain than the 300 remote forest dwellers outside this small village. Chased from their ancestral mountaintop land by unidentified armed men six times since 1990, they finally fled for good just over a year ago after two of their number were killed. They took apart their thatched houses, carried them down the mountain on their backs and pitched camp on a farmer's land, where they live today with no electricity, no schools, no doctors, no shops, a long trek to a water well, and only two meals a day because their fields are as far as seven kilometres away. They belong to the Teduray tribe, indigenous people and one of the 18 major non-Islamic tribal groupings in the southern Philippines' Mindanao Island. 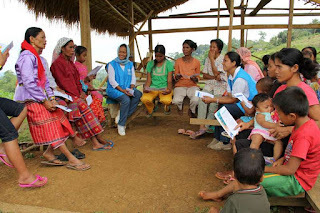 "I would have expected them to ask for food, shelter or other basic needs," said Racmah Abdula, community services assistant in UNHCR's Cotabato City office who made one of the initial assessments of needs in the village. Their actual request surprised the UN refugee agency: all they wanted was training on their rights so they could petition the Philippines government for their due. "We were surprised the first time we visited this community because they said they wanted to advocate for their rights and for the authorities to learn about their situation," Abdula said. The Teduray, along with many other indigenous people, say they have been overlooked by government recovery programmes for the 447,000 Mindanao residents affected by displacement. Of those, more than 100,000 still have not been able to return to their homes after the latest waves of fighting in 2008 and earlier this year – the most recent episodes in a Muslim separatist rebellion than has been simmering since the 1970s. Although they live 58 kms south of bustling, modern Cotabato City, the Teduray outside this village retain a traditional way of life, preserving their animist religion. Many of them are uneducated, a gap they sorely regret. "It's like you're a non-person if you don't have education," says Rodolfo Bello Moafog, the village chief. "You're almost not acknowledged as a human being." In 1997 The Philippines passed the Indigenous Peoples Rights Act to protect ancestral domain rights and prevent discrimination. But without documents to prove their land ownership, tribes like the Teduray are often vulnerable to land theft. In response to their pleas, UNHCR printed brochures in both the widespread Tagalog language and in Teduray informing them about their rights, especially women's rights. UNHCR staff also held information sessions with the women and answered their questions at length. The villagers have since petitioned the government for a road, school, potable water and agricultural assistance. 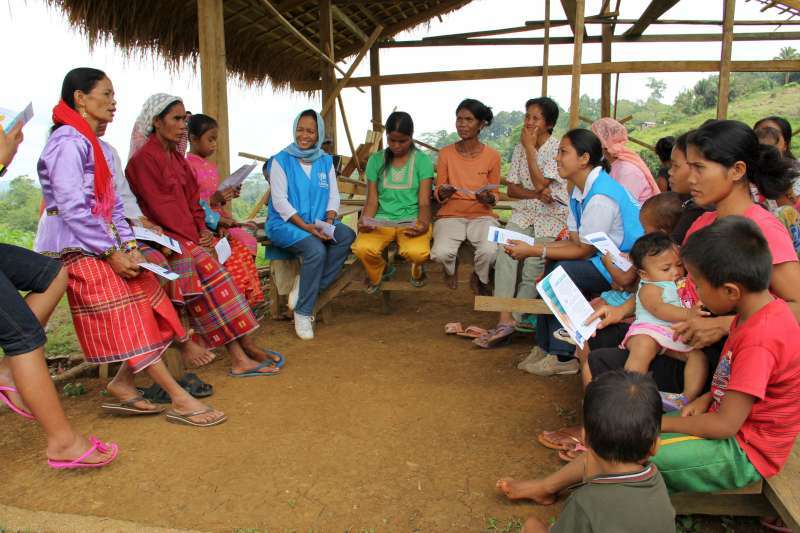 "We believe it's especially important to reach out to the indigenous people and other remote communities that have not been served," said Arjun Jain, head of UNHCR's operations in Mindanao. On one protection mission, UNHCR staff travelled five hours into the wilderness to discover a displaced indigenous group that had never met foreigners. UNHCR funds small projects – sewing circles, fishing boats, market stalls – to help returnee villages get back on their feet as the first step in building peace and democratic institutions. However, UNHCR's Mindanao programme is facing a shortfall of at least US$1.1 million in funding this year and has no pledges towards the US$3 million needed next year. "The UN refugee agency believes tight-knit communities are better able to resist getting involved in fighting or being displaced by armed groups," Jain said. "We are now also starting small projects at the first hint of tensions with the aim of preventing conflict." Returnees also like the fact that UNHCR projects enable them to earn a living by selling their own fish, or sewing school uniforms for sale. "If you just give money it will disappear quickly," says Leng Kupong, head of another village. "But with the boats and net you can earn a living for many years."